PEARL, MS-Ole Miss alumnus Chris Ellis tossed six shutout innings in his Mississippi Braves debut, holding the Blue Wahoos to just four hits and leading the M-Braves to a 2-0 victory over Pensacola Friday evening at Trustmark Park. Ellis struck out eight batters, throwing 65 of his 85 pitches for strikes, to pick up his first win. Ozzie Albies, the Braves No. 6 prospect as ranked by Baseball America, went 3-for-4 at the plate. He scored once. 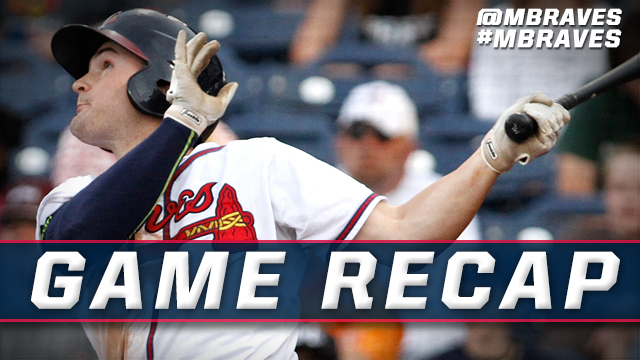 The series continues Saturday at Trustmark Park when the Braves send Atlanta's No. 2 prospect, Sean Newcomb, to the hill for his M-Braves debut. Mississippi (1-1) scored two runs on five hits. Pensacola (1-1) was shutout, collecting just six hits. The two teams battled through five and a half scoreless innings to start the game. Both runs came in the bottom of the sixth when the M-Braves took a 2-0 lead. Albies singled and scored on a Matt Lipka triple to center field. Dustin Peterson followed with a double to left field, plating Lipka for the Braves' second run. Kyle Kinman and Matt Marksberry worked the seventh and eighth innings to hold off the Blue Wahoos. Mauricio Cabrera (S, 1) came on to record the final three outs and notch his first save of the season. Amir Garrett started and went six innings for Pensacola. He surrendered two earned runs on five hits and a walk while fanning four. In game three of this five-game series, the M-Braves send the highly touted southpaw Sean Newcomb to the hill against Pensacola right-hander Sal Romano. First pitch is slated for 6:00 PM. Gates open at 5:00 PM.